Where to Buy Chapin 2658, Chapin 2658 1Gal 2 in 1 Dual Sprayer Foamer - $61.95 for Sale with Fast Free Shipping! 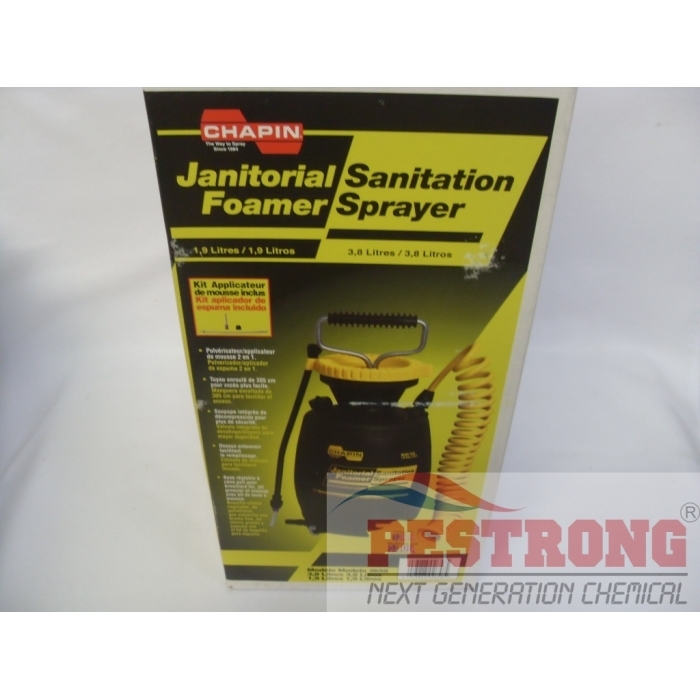 Chapin 2658 1Gal 2 in 1 Dual Sprayer Foamer is industrial janitorial sanitation poly foamer and sprayer. Taurus SC Termiticide Generic Termidor - 20..
Chapin 2658 1Gal 2 in 1 Dual Sprayer Foamer is multi purpose easy to use for home owner. No fiberglass additives, only pure virgin grade material which stands up to acidic cleaners 2 in 1 dual sprayer / foamer 20" coil hose foreasier reach Foam nozzle sprays a consistant foam for cleaning applications Auto/manual high pressure relief valve. This does a fantastic job at both spraying and foaming. It's nice and lightweight. The hose is the perfect length. It works great and I love using this.